*Nu, Rabbi, voos zugt eer guts? The good word this week is that about 5,000 people will be flying on El Al to Israel for about $400! 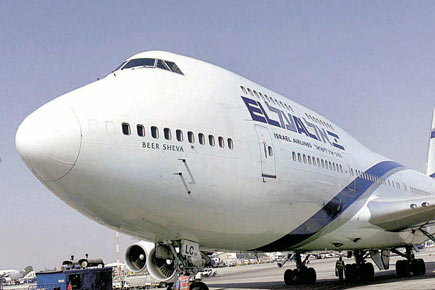 El Al Airlines made “a third-party mistake” which drastically lowered round-trip airfare between New York and Israel. Word of mouth (“moyl”), Facebook and Twitter fueled the buying spree. This created a run on tickets for a 3-hour period. When Randy Cohen, the former New York Times Ethicist was asked by Sarah Breger [Moment Mgazine Website] whether El Al should honor those tickets, he said, “El Al, like other companies, has a duty to honor the advertised prices. If it is a third party mistake, then El Al should seek compensation from that third party that actually made the error. It was NOT “a farshlepenish”—a long drawn-out matter. Almost immediately, El Al said via Twitter that they would honor the tickets. The only cheaper way to get to Israel is through Birthright, a not-for-profit educational organization that sponsors FREE 10-day heritage trips to Israel for Jewish “yung” (young) adults. Its goals are to diminish the division between Israel and Jewish communities around “di velt” (the world) and to strengthen participants’ personal Jewish identity and connection to Jewish history and “kultur” (culture). And so, for many people, the El Al error caused many people to be “gliklekh vi der velt” (happy as could be; fortunate as the world). Moshe Cohen, a new “imigrant” arrived at the Port of Haifa to claim his household goods, which had just arrived by “shif” (ship). However, when he turned up, he was immediately called into the Port offices because the excise officer had noticed on the manifest that Moshe had bought in “zibn” (7) refrigerators.